A t night, you will need a good nights' sleep. It's nice to know if where you're staying your lifestyle is accepted, and the environment is usually a great way to meet. For that Amsterdam's gay hotels, but also the 'regular' hotels in this town have a well known reputation. As many new 'regular' hotels are built spread all over town, it's handy if you do know where the hotel really is located, and won't end up miles outside the city, as hotels are sometimes advertising being central while in fact they are miles away from downtown. Furthermore, like in every city, there are areas you rather like to avoid staying at. In general, if the place you are staying at is within the A10 city ring, you should usually area-wise be fine. It's easy to end up in an area where you didn't want to be. To make sure you do end up where you would like to stay, we've created the Search (regular AND gay) hotels by area. It's also reassuring to know that we do not just include all city regular hotels, but only those with good feedback we've received over having distributed over 1,400,000 printed copies of the Amsterdam gay map. 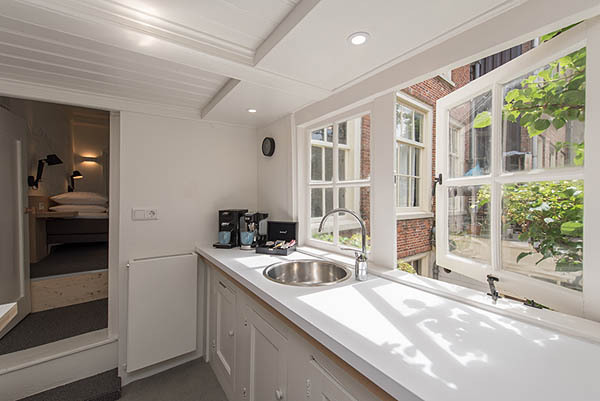 You can find Amsterdam's based gay accommodation here, what you need to know about them and detailed maps of their location. 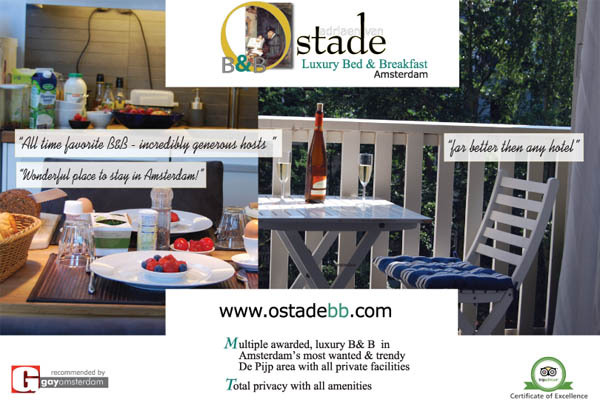 The Amsterdam gay-hotels have made quite a leap forward in quality, and many new ones are quite luxury. Their location near the night-life center is usually quite good. And not unimportant, they provide you with a warm and welcome stay. The interactive version of the Amsterdam Gay Map, which has been distributed in print in over 1,4 million copies. You can go over the map, see what hotel pops up, see more info displayed of your cursor right away, and inquire or book that hotel instantly. Amsterdam Pride yearly takes place the first weekend of August (more info) and takes place in various parts of town. As Amsterdam is a very walkable-city, you may prefer to stay amidst the action, or rather just outside the busy events. As the areas concentrated during Pride are, naturally, the gay areas, we have made a pride-planner, so you can plan to stay at the best location of your choice.